Tracking generates fear and inspires courage. It is the part of accountability that most consider when they think of accountability. Fear occurs when tracking is put in place before trust is earned with the accountability system. The lack of trust results from a fear that measurements that are not fair, goals are not defined, process is not defined or teamwork is not in place. Without trust many will feel any actions will be arbitrary and could lead to loss of pay, extra work, micromanagement or even termination. Without trust it is very hard to motivate a team long term by tracking results. 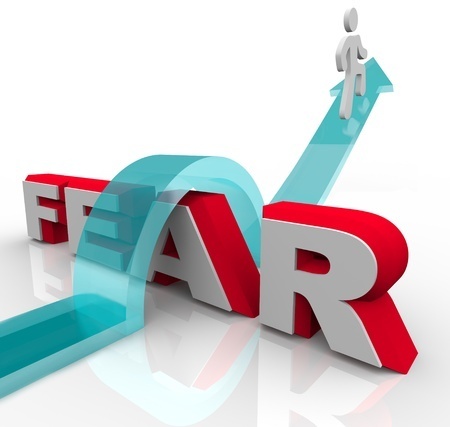 Fear, while a possible short term motivator, does not yield consistent and stable results in the long term. The culture of accountability is not one of fear but rather courage. It is easy to gauge staff engagement in the culture of accountability by their response to tracking. Accountability demands that goals are measured to determine success. It exposes actions and results and judges them as they relate to the desired level of success. If actions are judged fairly then bad results lead to the help necessary to make the right actions occur. Correcting problems reduces fear and builds courage. Courage only lasts when there is high trust in the accountability system. With tracking there is the inevitable assessment that leads to rewards and consequences. It is important to use consequences rather than punishment and rewards versus gifts. There is nothing wrong with a gift unless it is presented as a reward. Gifts presented as rewards can confuse and hurt teamwork. Rewards are earned for working to achieve a goal. They support the activities that are desired. Likewise, embarrassing or mistreating someone is not a consequence but a punishment. It does not inspire trust and will not match the vision of those that bear the brunt of the punishment. A consequence, however removes something that is desired or does not provide it due directly to an expectation that was properly established. With great tracking the actual actions and results are understood and along with the person or team responsible. By having accurate information rewards and consequences are accurately given to encourage or discourage as needed. Teamwork is maintained with proper responses to tracking – Consequences and rewards maintain teamwork. Punishment and grants tend to hurt teamwork. The accountability system does not demand perfection, but rather progress. It is expected that you will have both good and bad results. With tracking you re-enforce the good and address the bad. As teams build their trust with the system and see improving results improvements occur and again courage is increased. Fully implemented, the tracking component becomes a favorite part of a high performance teams on-going operations. When fear is present, first assume that the system is broken rather than the person is at fault. Start with communication to build trust. Once expectations are clear, the assessment of tracked results will illuminate the true issue that is creating problems. While it may be the wrong person or the wrong role, it is more likely to be an issue in the system rather than just one individual. Nonetheless, if the final assessment determines that an individual is the wrong type or fit, your hiring process will be fixed and your corrective action will be easy. Make sure to treat the person fairly – find another seat if that works or help with a new job as a last resort. Everyone will see real accountability at work and trust will be built and the culture of accountability will thrive.